Home › Blog › Want To Get Rid Of Those Bad Oral Habits? YOU KNOW THE ROUTINE: brush your teeth daily, floss regularly, and have your regular checkups with Dr. Behner twice a year. For the most part, getting in the habit of completing these simple tasks will keep your teeth healthy and strong. 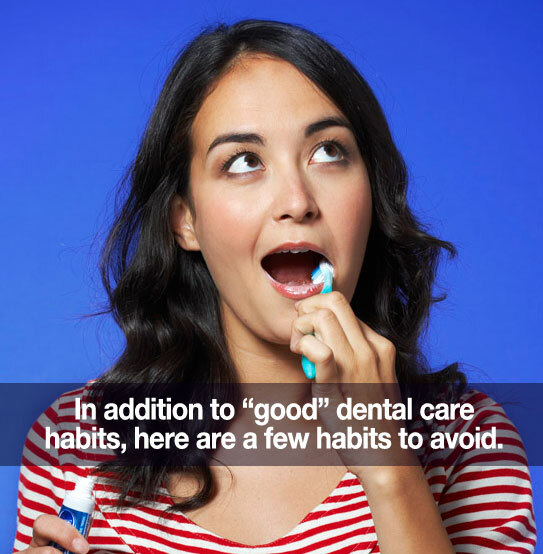 However, there are a few less-than-desirable oral habits that can override your good habits and compromise your dental health! Solution: During the day, be more aware of what you’re doing with your teeth when you feel stressed or anxious. Notice if your jaw muscles are often sore. For those of you who grind at night, ask Dr. Behner about custom mouth guards.